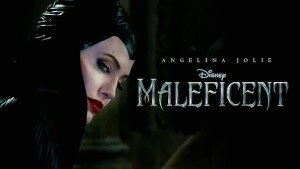 Well, is Maleficent magnificent? Angelina Jolie is (of course), but the story? I don’t know. What?! I don’t have an opinionated opinion for once? No. It’s complicated. I am viewing “Maleficent” on its own, but also in the context of the more recent Disney princess stories. The times they are a-changin’. Here’s the story: Humans and fairies do not get along. Their two kingdoms are side by side. The fairies’ land is beautiful and magical and the “men” want to take it by force. There has been a long history of this animosity. Maleficent is a fairy (the guardian of the moors) with powerful wings. One day she meets a human boy trying to steal a jewel from the fairy land. They become friends, and as teens, they fall in love. But when the boy grows up, in order to become the king’s successor, he strips Maleficent of her wings and she is doomed to only walk the moors. She becomes more and more angry, dark, closed-in and revengeful. When the king has a baby girl, Maleficent curses her (on her sixteenth birthday she will prick her finger on a spinning wheel and fall asleep forever). She adds a mercy clause: the curse can be reversed by true love’s kiss. The only reason she does this is because she firmly believes that TRUE LOVE DOES NOT EXIST. But as she watches Aurora grow up, she often finds herself protecting her and helping her. She revokes the curse. Or does she? Hear ye, hear ye and be it known that I am no expert on myths, legends or fairytales and what they are “supposed” to be, look like, accomplish. I have only the most general knowledge of their essence. Plato said: “Those who tell the stories rule the world,” but I have long believed the saying should be: “Those who interpret the stories rule the world.” And what of those who RE-TELL and RE-INTERPRET the stories as with “Maleficent”? What of those who say the old stories no longer have perennial meaning just as they are, and don’t tell new stories, but redact? Through the narrator of this Disney princess tale, we are playfully told that we have not been told the real story of Sleeping Beauty all these years. The implication is not that we have been lied to, but that we only heard one side of the story, or that we haven’t looked deep enough. Like the smash Broadway musical “Wicked,” we are told the story from the villain’s perspective, and the villain becomes our main character, and the villain is not so villainy after all. Who is actually telling the story now? A woman screenwriter. Linda Woolverton (she also wrote the screenplay for Beauty and the Beast and Lion King). Women are writing the Disney stories about women now. I rejoice at this (why not? 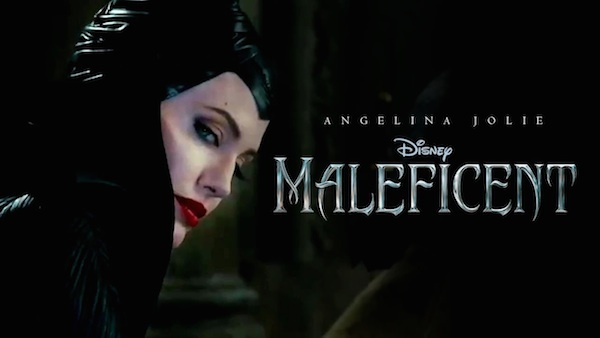 ), but do women, does this woman writing Maleficent know who she is as a woman? Who women are in general? Is she on an earnest search that is not over yet or is her worldview locked tight and presented to us as an agenda in Maleficent? I don’t know. I don’t know Linda Woolverton. Good is good and evil is evil in Maleficent, but we are made to examine neglected nuances of it in ourselves and others. The concept of forgiveness is very strong throughout, although the two nemeses, the fairy queen (who is not a real queen) and the human king (who is not a real king), never reach that denouement. In fact, Maleficent inadvertently kills her archenemy. Have we seen this before? I don’t think so. There is much new in this refurbished fairytale. Do we need refurbished or simply new fairytales? Perhaps, despite the fact that human nature does not change. The last change to human nature was the Ascension. And it was a mighty good one. I really think there is a lot of authentic feminist stuff going on in this film. It often hits the nail on the head in a very deep way. The film is at its best when describing the deep, deep rift between men and women, the masculine and the feminine. The deep woundedness on both sides, particularly the female side. The solution? A withdrawal from men (who are either utterly wicked or utterly useless [and often emasculated]). The two kings (and their soldiers) are bad men. Maleficent has a male lackey, and Princess Aurora has a useless prince (so useless he is literally floated around in a suspended state and only good for performing a function–that he doesn’t succeed at). Men are not only a problem, they are not needed. There could be even more feminist readings: Women “fly” without men. Men want to take women’s “wings” away. As Steven Greydanus (“Decent Films”)–a father to three little princesses and four princes–says: “I’m all for female and empowerment and girl power, but not at the expense of men.” Can’t we do better than: When men tell the stories, women get objectified and/or are irrelevant. When women tell the stories, men get objectified and/or are irrelevant? In Maleficent as in Frozen (there are many similarities to Frozen, also written by a woman): women are now saving women. The main similarities of these two movies for me were: the lone queen with her overpowering rage, and the withdrawal from men. Strong, angry, brooding women. What felt very inauthentic and like a mockery was the caricature of a generic Prince Charming with tights, pageboy haircut, white horse, embellished saddle, cape. Perhaps it was just a bit of humor, but it did feel very spoofy, like: Look, ladies, really? Another name for this film could be: Hell Hath No Fury Like a Woman Done Wrong. Very Wrong. Female wrath is quite a powerful force. I have felt it in myself and it’s very scary. There’s a great scene of Maleficent striding with her staff, smiting everything in her path. Wow. I know what that feels like. (Except I don’t have magic emerald mist exuding from my fingertips.) I think a whole book could be written about this film and the transformation of Disney princesses of late. But male-female love IS the primordial love. The organic, natural, intrinsic community love of the Trinity in Whose image male and female have been made. As a unit. The only love capable of giving life. Human life. Humanae vitae. On the other hand, this exploring the depths of other kinds of love (Frozen: sisters, siblings, Maleficent: mother and surrogate daughter) besides purely romantic-sexual love between men and women that has gone awry in our day and age, may even be the way back to a fuller male-female love.